LOVE IT! Universal Orlando just released even more in depth details on the types of interactive and engaging experiences that will be available for guests visiting Diagon Alley. 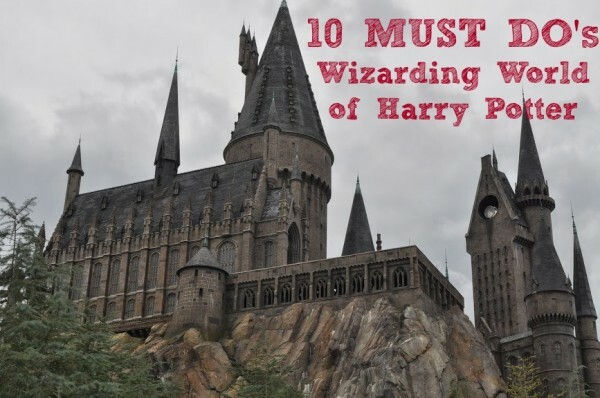 It’s no secret that my entire family is crazy about Harry Potter, so you can be sure that my coin collecting money saving 6 yr old son is going to be obsessed when he finds out he can actually go to the Gringotts Money exchange and swap out some of his cold hard muggle cash for Wizarding Bank Notes. I’m hoping they’ll also sell gold bars in the gift shop for souvenirs too! 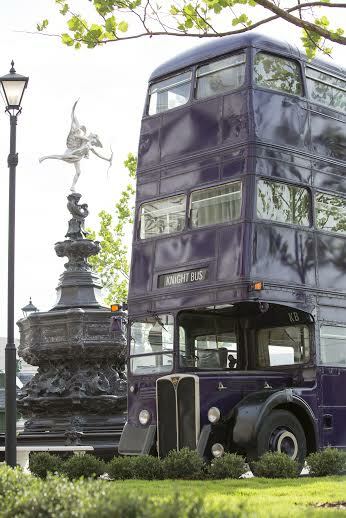 Check out this photo of the Knight Bus. I can not wait for Diagon Alley to open later this summer! And let’s not forget you’ll be able to ride a train from Hogwarts Hogsmeade to London!!! I’ve got our 10 Must Do Attractions and Tips for visiting the Wizarding World of Harry Potter complete, but I seriously think I’m going to need to visit again very soon share our new tips for Diagon Alley once it opens don’t you think?? Fans will love strolling Diagon Alley and hitting these muscial performances and stage shows during their enchanted visits. · The Tales of Beedle the Bard, a new stage show taking place within Carkitt Market, a covered, outdoor shopping area inspired by London’s famous markets. The show will feature a troupe of four from the Wizarding Academy of Dramatic Arts who have set up to perform a trunk show using stylized scenic pieces, props and puppetry fabricated by Emmy-award-winning designer Michael Curry. Curry is best known as the production designer on projects including the 2010 Winter Olympics opening ceremony and the 2012 Super Bowl halftime show. · The Singing Sorceress: Celestina Warbeck and the Banshees, a musical performance featuring the ever-popular singing sensation of the wizarding world, known from the books as Molly Weasley’s favorite singer, who she listens to on theWizarding Wireless Network. The swinging show will feature never-before heard songs including, “A Cauldron Full Of Hot, Strong Love,” “You Stole My Cauldron But You Can’t Have My Heart” and “You Charmed The Heart Right Out Of Me”. These titles were all created by J.K. Rowling and the lyrics also include never-before-revealed information on Celestina’s wand from Pottermore. Check out these interactive experiences you and the kids will enjoy while popping by London and Diagon Alley. My son will OBSESS wildly over the Gringotts Money exchange!! And who else is dying to see the Knight Bus in real life? I know I am! · Gringotts Money Exchange, a place where guests will be able to interact with aGringotts bank goblin and exchange their Muggle currency for Wizarding Bank Notes. These bank notes can be used within both Diagon Alley and Hogsmeade (and throughout the rest of Universal’s two theme parks) to purchase snacks and items from the shops. · Ollivanders: Makers of Fine Wands since 382 BC, one of the wizarding world’s premier wand shops. Visitors to Ollivanders will step into the small, dusty shop and experience “a wand choosing a wizard” firsthand, reminiscent of one of the most iconic scenes from the Harry Potter books and films. This interactive experience is also available at Ollivanders in Hogsmeade at Universal’s Islands of Adventure.